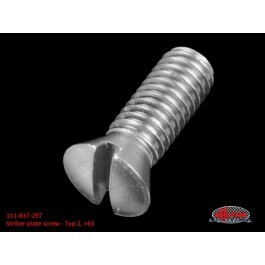 Countersunk machine screw with specifically steep head angle for ice pick handle striker plates and narrow rear hatch/tailgate striker plate. 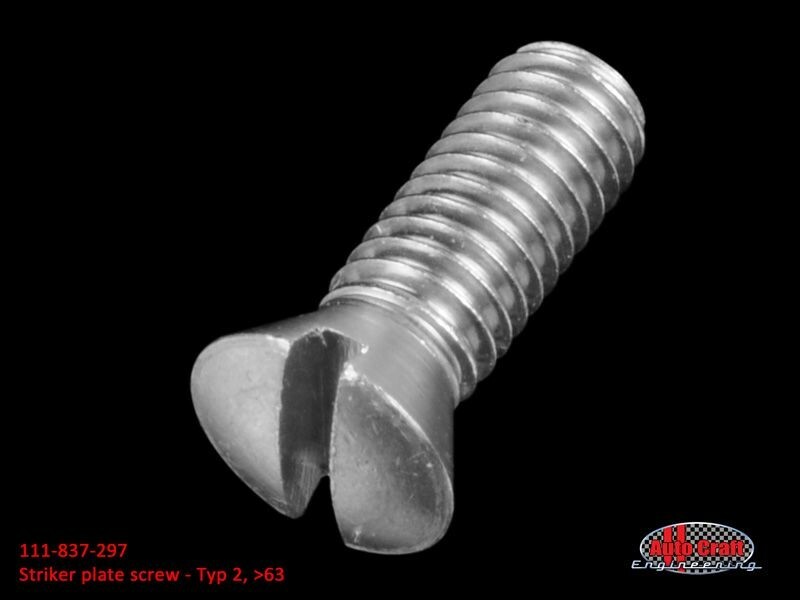 Standard countersunk heads won't seat properly in the striker plates, potentially allowing the plate to move, or the bolts to shear. 3 required per cab door and 2 for the rear hatch (8 per bus).